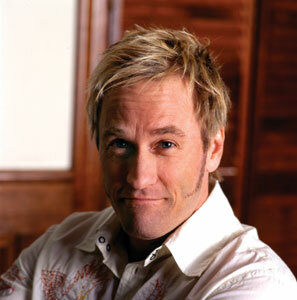 Brad Stine is the most media covered Christian comedian in the country. He had an 8 page profile written about him and his comedy in the New Yorker Magazine where he was referred to as “God’s Comic”. He has been featured in the New York Times, Christian Science Monitor, Los Angeles Times, Wall Street Journal, USA Today. He has been featured on NBC Nightly News, HBO, Showtime, CNN, Fox and Friends, Glenn Beck, Hannity and Colmes, NPR’S Fresh Air, ABC Nightline, MTV, Comedy Central. He has four original DVD ‘s of his comedy, and has written two books “Live from middle America..rants from a red-state comedian” published by Hudson street press, and “Being a Christian without being an idiot”. He is a weekly blogger with Beliefnet.com and has had material published in Readers Digest andFocus On the Family Magazine. He has appeared in numerous films including “Poodle Springs” on HBO, Welcome to Paradise, Sarah’s Choice, and Christmas with a capital C.